MDS sell a wide range of battery kits for UPS systems including APC RBC replacement battery kits, MGE UPS battery kits and most other major manufacturers. 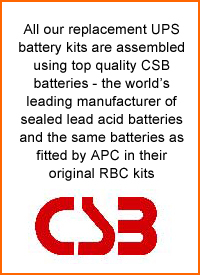 We are the UK distributor for CSB Battery, the world's leading manufacturer of sealed lead acid batteries and the same batteries fitted by most UPS manufacturers including APC, MGE, Emerson, Liebert, Dell and HP. These kits that we assemble include everything you need - wire leads, fuses, connectors and even CD-ROM tutorials in some cases. We can also supply batteries pre-fitted in trays for some UPS systems or simply the bare lead acid batteries for self installation. The easiest way to find the right kit for your UPS is using the Battery Finder on the right to search by make and model; alternatively you can browse through our full range of replacement UPS battery kits in the categories below. All our high quality CSB Battery uninterruptible power supply products are available for next working day delivery - order by 4.00PM. When did you last check the batteries in your UPS? If you've ever suffered a serious power failure and your server crashed as a result then chances are you'll probably check your installation more regularly. If you haven't checked them in the last year then do it now - don't wait for them to fail and find out the hard way. 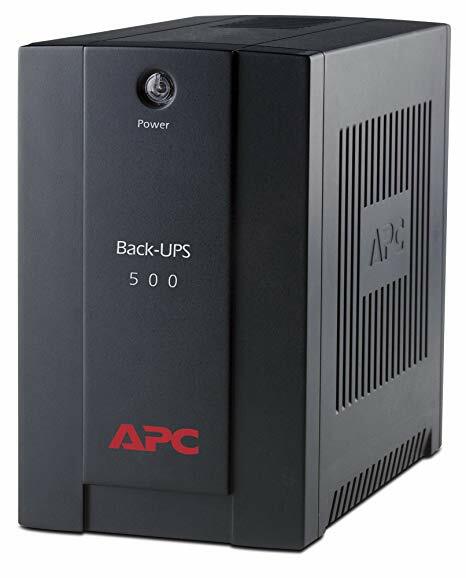 A typical UPS battery installation for a small server will have a typical design life of 3-5 years while large installations may have batteries with life spans up to 10 years. The developments in battery research and technological improvements has increased energy density and efficiency significantly in recent years so why not take advantage. 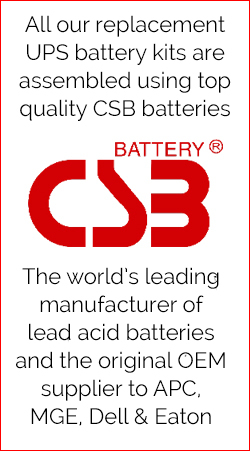 CSB Battery are the forefront of these developments and can now provide solution that offer the same or greater capacity and performance in a more compact unit saving you valuable floor space.